Publish generated record into your DNS. Login to your DNS provider and go to the section “manage DNS” (or other). Record: Fill this with “_dmarc”. Please note the underscore is important and is required. Use our awesome tools to monitor and secure your domain. The Domain Health Check executes hundreds of domain/blacklist/ssl tests to make sure all your systems are online and secure. The report returns results for your domain and highlights critical problem areas for your domain that need to be resolved. 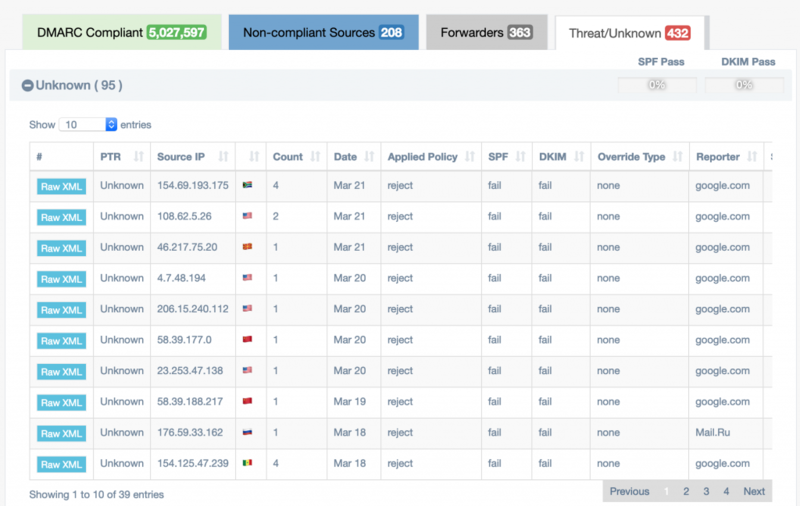 After done you need to wait for day or two to start receive DMARC aggregated reports. Aggregated reports will be automatically analyzed by EasyDMARC and you can receive important notifications and alerts. For more details you can check RFC.